I first met Peter Roebuck when at the age of 12 he came to play cricket for the Ravens at Downside School. The Ravens were presided over by Dom Martin Salman and Hugh Watts, perhaps the best of that school’s games masters, of whom the latter played for Somerset as a school boy before the war, and despite a sniper’s bullet in his shoulder, after the war as well. In those days, besides showing exceptional talent as a batsman, Peter was developing into an excellent leg spinner. Once he joined Somerset and became known as Rupert the latter art declined. Goodness knows what Rupert bowls, but because neither he nor the batsmen are in the secret he continues to capture wickets, partly by the illusion Created by frequent movements of the field, an illusion which owes more to Paul Daniels than to the MCC Cricket Coaching Book. 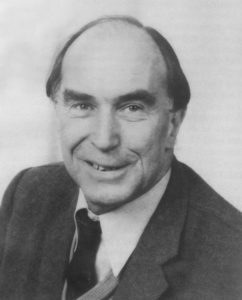 Jack Meyer, a headmaster of genius and one of the best remembered of Somerset captains, also met Peter at the age of 12, and Peter justified the scholarship Jack gave him to Millfield on the day when his double first was announced in the course of an innings of over 70 for the Combined Universities against the Australians; a day when the emergency umpire for the tourists was none other than Jack Fingleton, who had scored five centuries for Australia, who was likewise a Raven and a good supporter of Somerset. Like Jack, Rupert also took to journalism and to the writing of books, so that if sports writers were in the habit of selecting an XI on literary merit, he would by now have received his cap for this. 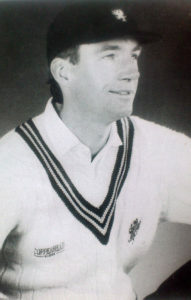 He has of course a deep and perceptive knowledge of the game, he is an original thinker, he has an outstanding intellect, and is not afraid quietly to express what he believes to be the truth – all contributory reasons, perhaps, for the fact that he has so far been passed over by the English selectors. Nonetheless, Rupert has many friends from all sections of the West Country folk. When not in the middle, he is usually to be found in well-matured discussion somewhere around the ground, whether on the merits of the game in progress, or of the Trial of Socrates, or of vintage port, whether on the demerits of the arguments for the existence of the Loch Ness Monster, or the introduction of another hare brained scheme. Rupert does deserve your fullest support in this his benefit year. Please give generously to a great servant of Somerset cricket, who at times has been the victim of uninformed comment, and yet who continues to give to the county rather more than his all.